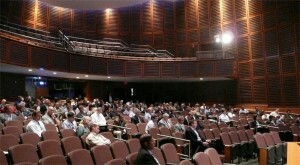 This September 8-9, in Boston, will be the third Medical Device Connectivity conference. 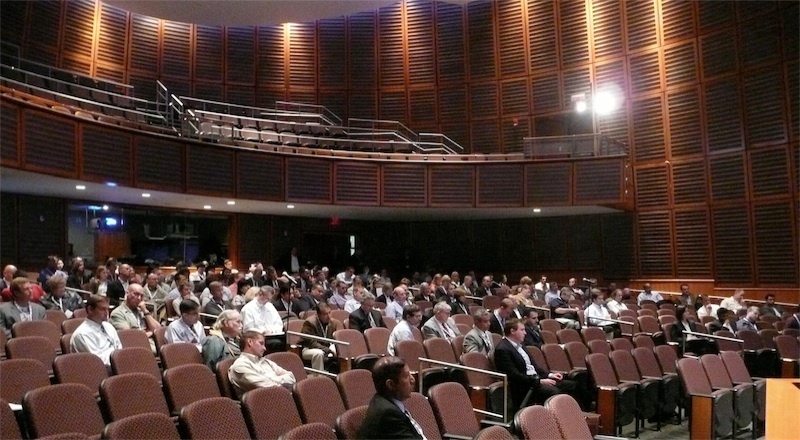 We're returning to the Joseph B Martin Conference Center at Harvard Medical School - a really nice facility with great food. Of course, the ambiance and cuisine is secondary to what you'll learn at this year's conference - still the only event dedicated to medical device connectivity. The FDA published their final rule for Medical Device Data Systems, and signaled their intent to regulate health care providers who develop their own MDDS solutions. The FDA also published the long anticipated draft guidance on mobile apps, clarifying the boundaries around what is and is not regulated medical device software, and laying out a bit of the FDA's enforcement strategy. The transition of health care technology from the hospital to home health has also received some attention from the National Research Council in their report, Health Care Comes Home: The Human Factors. 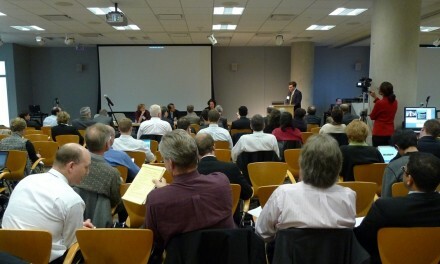 An FDA Workshop on Medical Device Interoperability was held a few months after last year's Medical Device Connectivity conference. 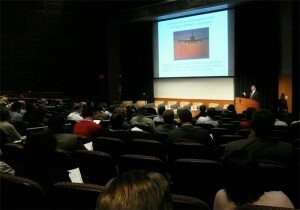 This event was just part of an effort to develop a regulatory framework tailored to plug and play medical device interoperability. The group behind this event has published a number of important papers this year on interoperability, risk management and other topics. Founded in July of 2010, the mHealth Regulatory Coalition has contributed greatly to advancing a different set of regulatory policies for mobile apps and also published important papers this year on the optimal regulatory framework for mHealth medical devices. On the standards front, IEC 80001 will mark its first year as a formal standard this September. And the Integrated Clinical Environment (ICE) standard (ASTM F2761-2009) has been advanced by a number of grants that will result in the creation of solutions that implement portions of the ICE standard. Both ICE and ongoing efforts by the IHE PCD have seen continued adoption of ISO/IEEE 11072. This year's conference will explore all of these topics, along with a number of case studies. The Medical Device Connectivity conference remains the sole industry event dedicated to workflow automation through the integration of medical devices and information systems. And there is no other venue where clinicians, clinical engineers, medical device manufacturers and connectivity suppliers can all meet, learn and exchange ideas. Thanks in advance to all of this year's speakers for their participation and support of the advancement of connectivity, and this conference. Both their expertise and efforts to share their connectivity experience will create an exceptional conference experience for all attendees. As principal investigator for the $10 million Quantum Grant for the “Development of a Prototype Healthcare Intranet for Improved Health Outcomes,” Julian Goldman MD will report on progress in patient centric care. With connectivity, medical devices are becoming information appliances. As medical devices become more connected and smarter, where will it all end? Glen Allmendinger, President of Harbor Research will answer those questions in his presentation on medical devices and the Internet of things. After Glen's exploration of the broader industry trends impacting medical devices, yours truly will describe how medical devices themselves are evolving, and look at some likely outcomes. Few people have impacted medical device connectivity as much as the inventor of the "smart" infusion pump, Nat Sims MD. Since the birth of the smart pump, Nat has been quite busy and you will learn a bit of what he's been up to when he presents a survey of 5 different connectivity applications implemented at Partners Healthcare. 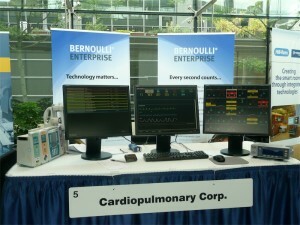 Medical device networking - both wired and wireless - continues to be a challenge for health care providers. As an independent nonprofit dedicated to the mission of lowering health care costs by accelerating the availability of wireless health, the West Wireless Health Institute has initiated a program to improve wireless networking for medical devices in hospitals. 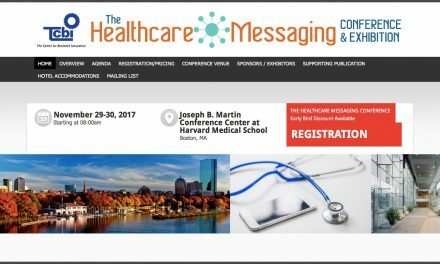 Ed Cantwell, will present his institute's proposed solution to the vexing problem of harmonizing enterprise networks to wireless medical devices. The ECRI Institute has taken a leadership position on health care technology challenges for over 40 years. Jim Keller, leader of ECRI's medical device evaluation program will present the Institute's perspective on the challenges and potential solutions medical device connectivity presents to health care providers. The FDA Workshop on Medical Device Interoperability mentioned above, is one of the activities of the AAMI HIT and Interoperability Ad-Hoc Committee. Steering committee member, Michael Robking (and Principal of Anakena Solutions) will provide an update on the committees activities and how they may impact the future regulation of interoperable medical devices. The mHealth Regulatory Coalition, also mentioned above, is tackling a different set of interoperability regulatory challenges. Dane Stout, Director Connected Health and Biomedical Communication Practice, The Anson Group, is also a leader in the coalition. Dane will provide an update on the coalition's efforts to assist the FDA in the development of draft guidance for mHealth products. In addition to the above, there will be three tracks of presentations focused on topics for health care providers, medical device manufacturers and regulatory issues. These represent more than 16 additional presentations. After the conference, attendees have the option to sign up for one of 3 post-conference workshops. These in depth 4 hour workshops provide meaty "deep dives" into each of their subjects. All workshop instructors are industry leaders. Vendor agnostic alarm design and performance metrics is the title of workshop from Kourtney Govro, CEO of Sphere3 Consulting. Kourtney will show how alerts and alarms from nurse call systems can be transformed into leading indicators of care, reflecting a hospital's patient satisfaction levels and financial success. This workshop will describe how patient’s needs can be met more effectively by looking at numbers that are produced by technology used every day at the hospital. Distributed antenna systems in hospitals: best practices, is a topic that continues to vex health care providers. Between legal mandates to support public safety frequencies with the hospital, and dealing with integrating networked medical device systems on enterprise networks, few hospitals have resolved their networking issues. Distributed antenna systems are often mentioned as a potential solution to all or some of these problems. In this workshop, David Hoglund, Principal of Integra Systems will instruct attendees on what technologies are available, what works and what doesn't, and how best to plan for, deploy and support distributed antenna systems in your enterprise. A practical design workshop for creating connected medical devices and gateways based on open source, and open architecture components is the follow up to last year's workshop on a similar topic. Presented by Shahid Shah, CEO of Netspective will delve into medical device product architectures optimized for connectivity applications. He will show how these architectures, based on open source and open architecture components can result in reliable and feature rich devices with a significantly lower time-to-market and cost of goods sold. Be sure to check TCBI's web site for this conference for updates and the latest agenda. Freescale offers hardware and software solutions to implement medical application devices. In the webpage http://www.freescale.com/medical you can find application notes, reference designs, microcontroller solutions and more. Some of the featured applications supported by Freescale are the electrocardiograph, blood glucose meter, blood pressure monitor, pulseoximeter and spirometer.